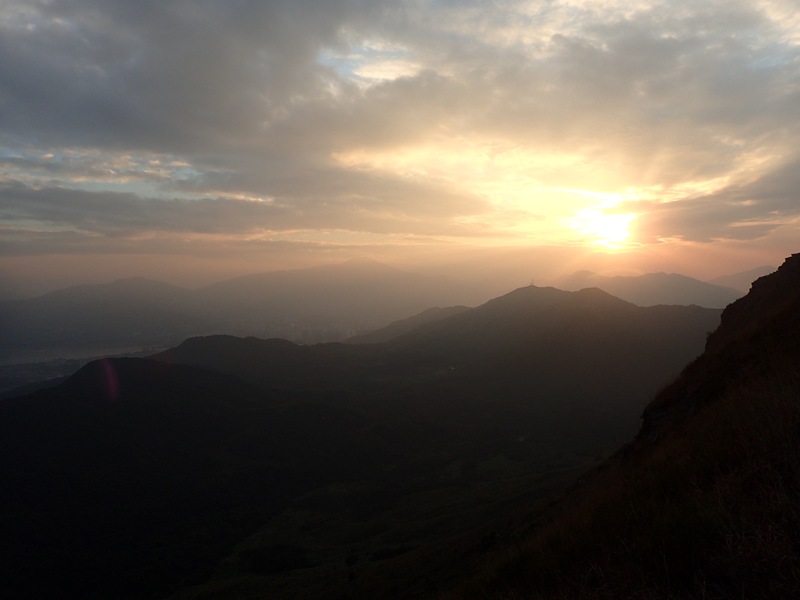 As I reached the final peak of ‘Eight Immortals’ of the Wilson trail high in the mountains of Hong Kong my head torch made out the silhouette of a man perched on the summit. That man was my ever patient and supportive husband Dion who had been waiting patiently for me in the dark as I painfully ascended the last climb of The North Face Hong Kong 100. 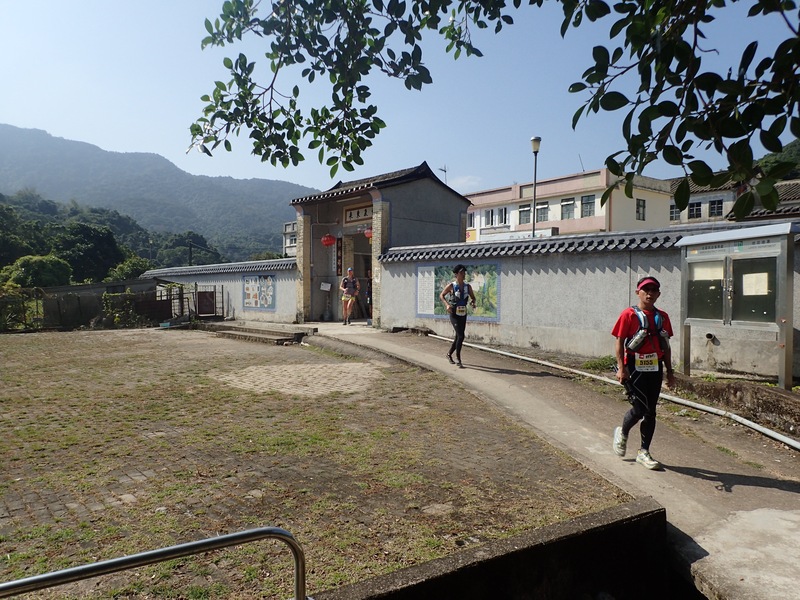 ‘What took you so long?’ He laughed as he asked me before we shared a few sugary treats for a last surge of energy for the final descent back into Tai Po Market to the finish line. Dion and I had been living apart for just over 4 months at the time with him based in Beijing, China to ‘Bring Gobi Home’ (see FindingGobi.com for more details on this life changing adventure) whilst I remained in Edinburgh with a couple of visits in between, so we had decided that as this was our couple time that we would run this race together. 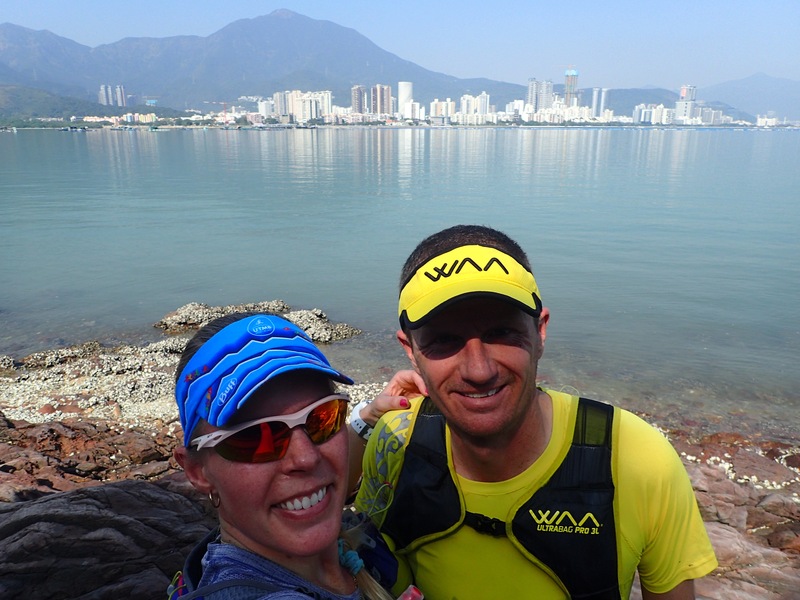 Having never been to Hong Kong before we were both keen to have fun, get the distance done for some intensive training, take lots of photos and soak up the atmosphere. In other words we weren’t ‘racing’. 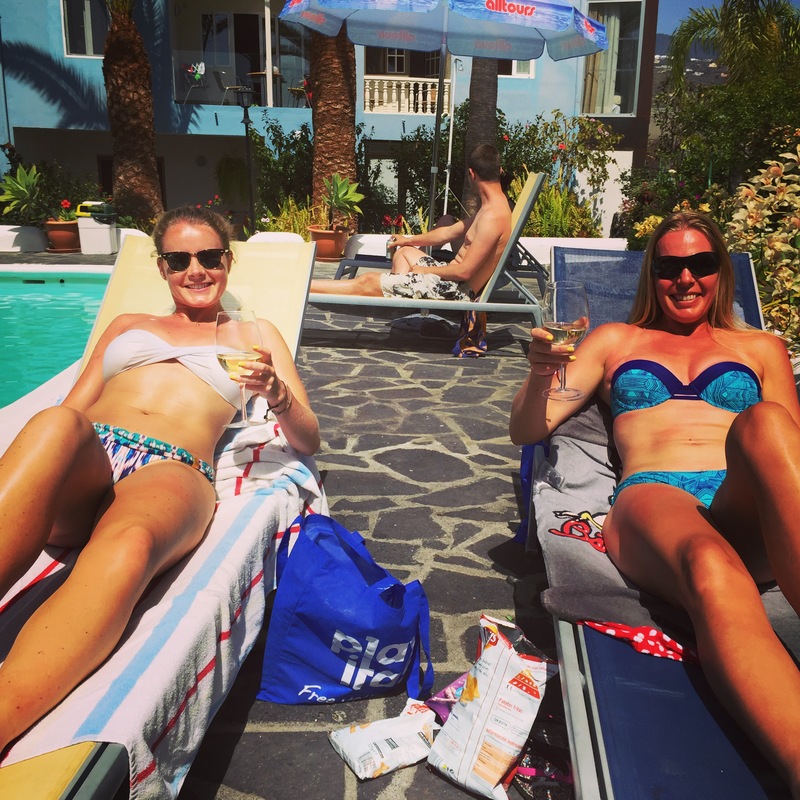 “It must be great to be have a partner that runs too, so you get to run together.” I hear this a lot from other runners that may or may not have partners that run with them, but running ‘together’ is not always how it goes. We have finely tuned how we run ‘together’ over the years after many frustrations early on where I can’t keep up with Dion and it hurts him to run slower at my pace. So now we might head out for a run and he gives me a half hour to an hour head start (depending on the distance) and then chases me down; this works quite well as I run quicker to try and stop him catching me and he also runs quicker as he most certainly wants to catch me. Another option is for one of us to drive to point B, park the car and run back to point A and the other runs from A to B, passing each other halfway and then collects the car. Or I just make sure Dion is knackered from a big block of training and we do run together as then he’s slowed down enough to keep ‘up’ with me. 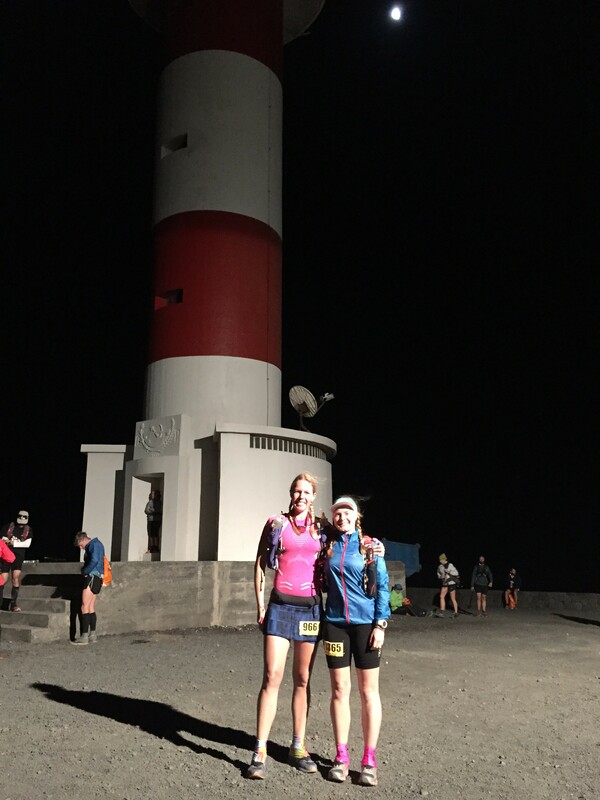 We don’t tend to race together, although we might be at races together (KAEM 2013 & 2014), MdS 2014 and various local races, Dion is much quicker than me and on the edge of professional running where I am not quite reaching that level, yet. I hope that by running more together in both training and racing that I can learn from his experience, skill and mindset to develop myself into stepping more into the competitive world of running. I do enjoy the feeling of being on the podium and want to feel this more and more. 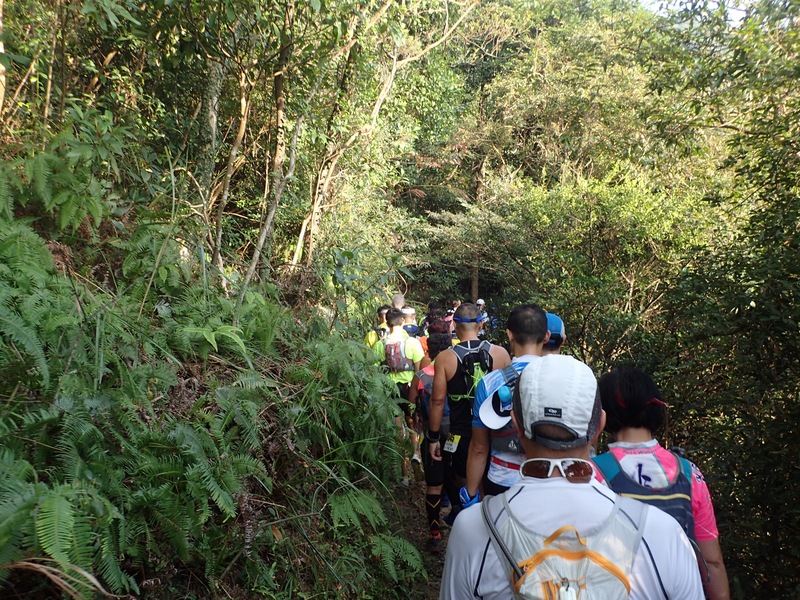 With the mountains looming ahead of the start line it wasn’t long before the path quickly turned both vertical and single track at the same time causing a massive queue of runners who were halted to walking. 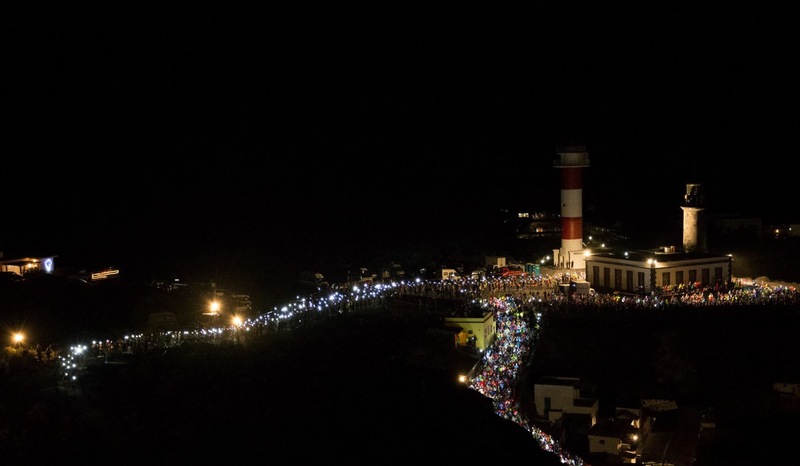 Not a bad strategy to conserve energy but it was much too slow so a tip if you do this race, get yourself a bit further up the starting pack if you want to get a move on. 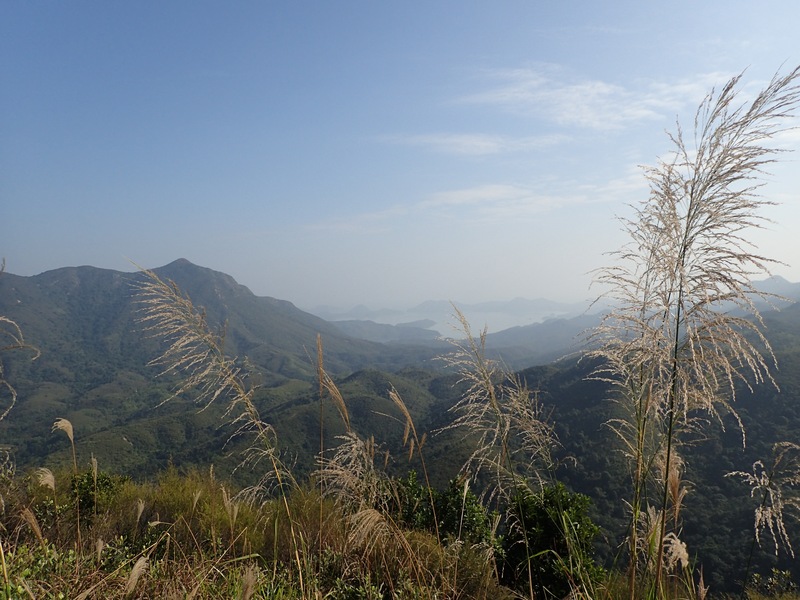 I’d heard a lot about the trails of Hong Kong but was still surprised by the sheer size of the mountains, I wouldn’t have believed it without seeing it for myself. 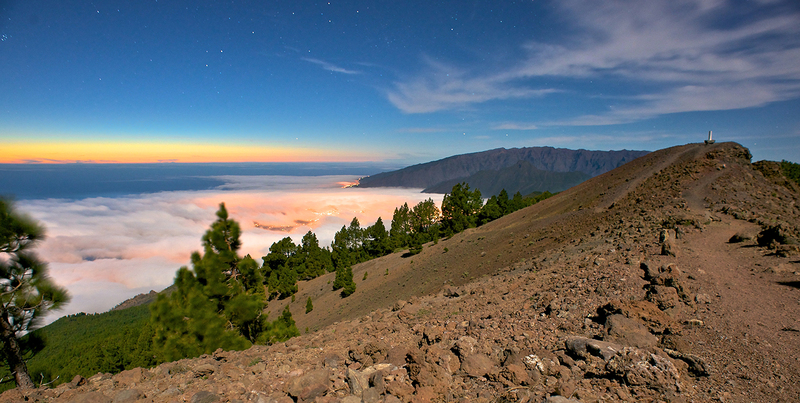 It was every bit as beautiful as a mountain fairytale with steep, rocky trail stairs leading you high into the clouds even more brutal than I could have hoped for. The trails lead you vertical to take in some exceptional views of the iconic Hong Kong skyline which we had the pleasure of enjoying in brilliant sunlight, at sunset and into the darkness. It wasn’t all trails though. 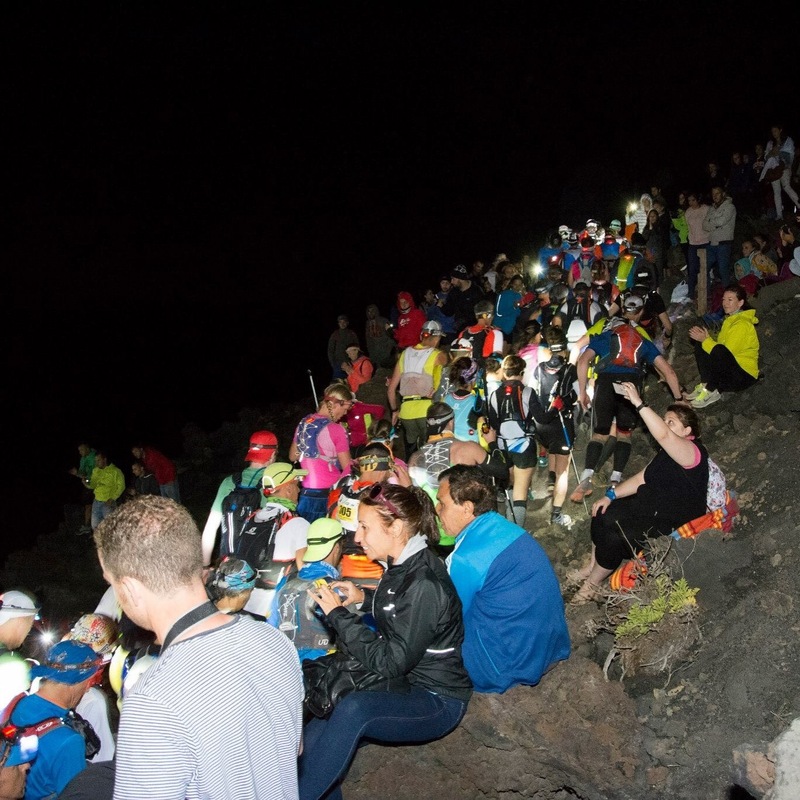 After each descent we entered a local village all bustling with activity of daily life and offering the opportunity to purchase some cold Coke or tasty local food of which many of the runners were taking full advantage of, ourselves included. A great benefit of Dion running with me was that he would run ahead and surprise me with his purchases which kept him busy shopping with the locals for our treats along the way. The taste of an ice cold Coke mid way on a hot, humid race is second to none. And it was humid, some of the runners looked like they’d been for a swim instead of a run they were sweating so much. It certainly paid dividends to put skills learnt in the desert into practice with hydration and salt tablets to keep dehydration at bay. We resisted the temptation at lunch time as we passed a gorgeous waterside village abundantly laid out with tables full of locals feasting on an array of food that smelt absolutely divine, a decision I now half regret as we never did make it back to that same spot for lunch the following day. Dion made sure we didn’t do without though ensuring we had dim sum and noodles to eat at points along the way. 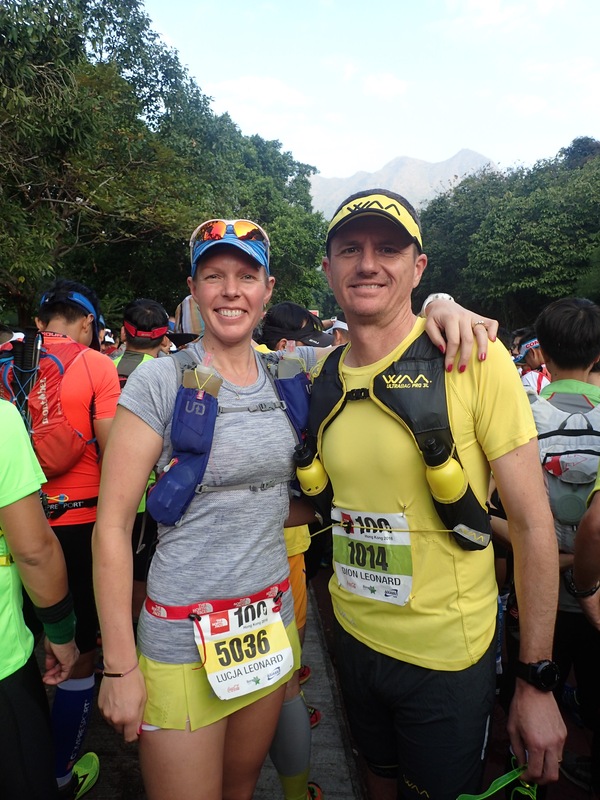 It was an enjoyable change to run together as a couple in a race environment and gave me the opportunity to push myself harder drawing on Dion’s resolve and experience. I have no doubt that he would be a great pacer for me in a future race and will push me on to faster times. It was also like having a personal photographer alongside me all day with Dion often racing ahead to capture the amazing footage you see here in our film of the race. 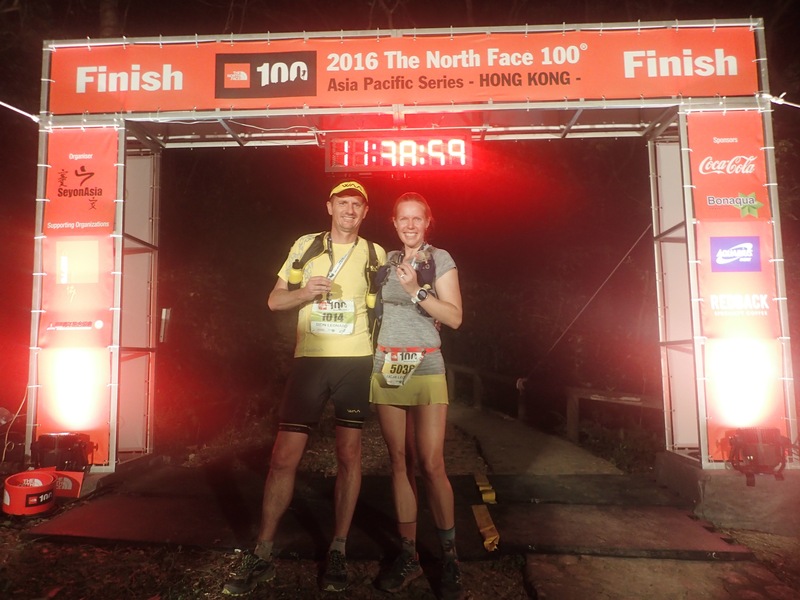 The North Face Hong Kong 100 delivered an exceptional experience of trail running whilst giving runners a taste of local culture and people. A tough challenging race not to be taken lightly with its unrelenting ups and downs in the humidity to add that extra test of endurance. This combined with a weekend of exploring the bustling city and eating the delicious food it makes for a great running adventure escape. 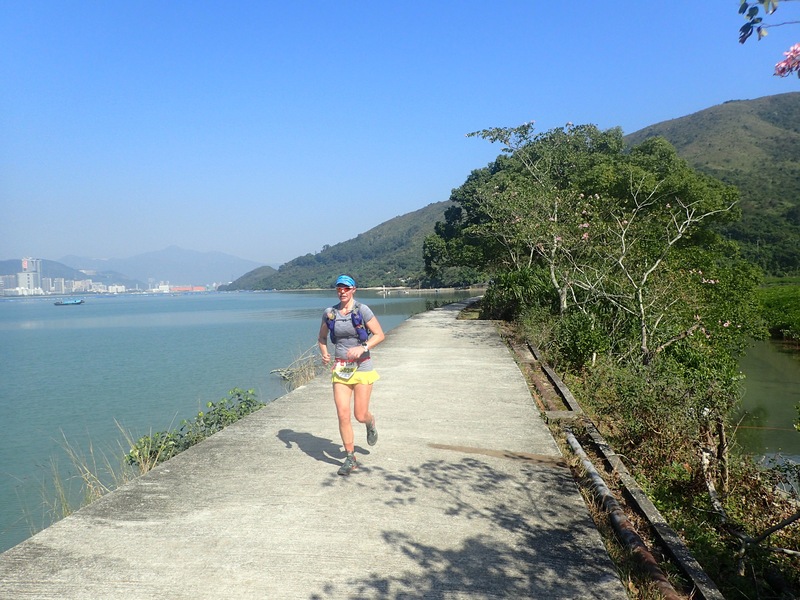 After my first taste of Hong Kong I can definitely see a return for another race in the future, my imagination was captured as we passed Lantau Island on the way to the airport…Lantau 50k Dion? 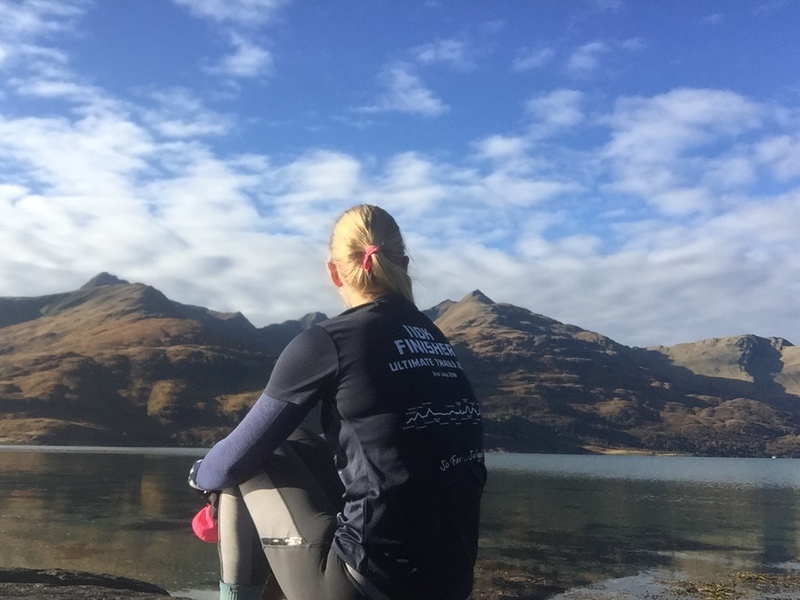 Hearing about Inverie on the Knoydart Peninsula, a remote location that could only be reached by either ferry, on foot or helicopter, I knew this was the adventure I’d been looking for and hatched a plan for my very own micro adventure. In a fast paced world that seems to be forever getting even busier and more expensive we are all seeking get aways that actually allow you to ‘get away’ without costing the earth or taking all your time. Quick fix escapism. With Edinburgh city still sleeping I escaped in the wee hours into the still, dark air that hinted at frost. It wasn’t long before I was crossing the Forth Bridge heading into the North of Scotland. I’d been travelling for a few hours in the dark before the sun started to rise giving way to a beautiful sunrise and promise of a spectacular day. After winding my way through stunning vistas surrounded by deer and highland cows the road comes to an abrupt end at a rustic farmhouse with smoke plumes working their way into the sky tinged pink with the sunrise. 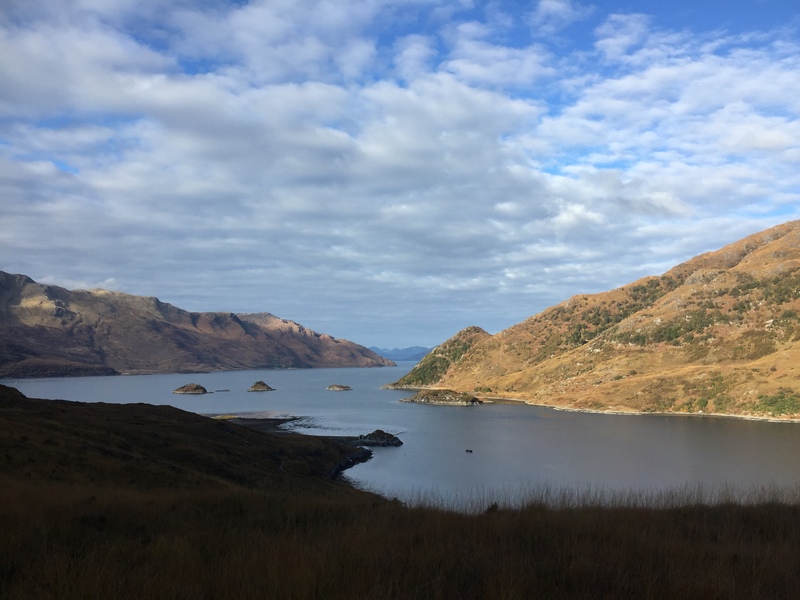 Loch Hourn glistens and winks with the promise of what lays in store over the next 2 days of exploring this remarkably untouched peninsula of Knoydart on foot, completely on my own. 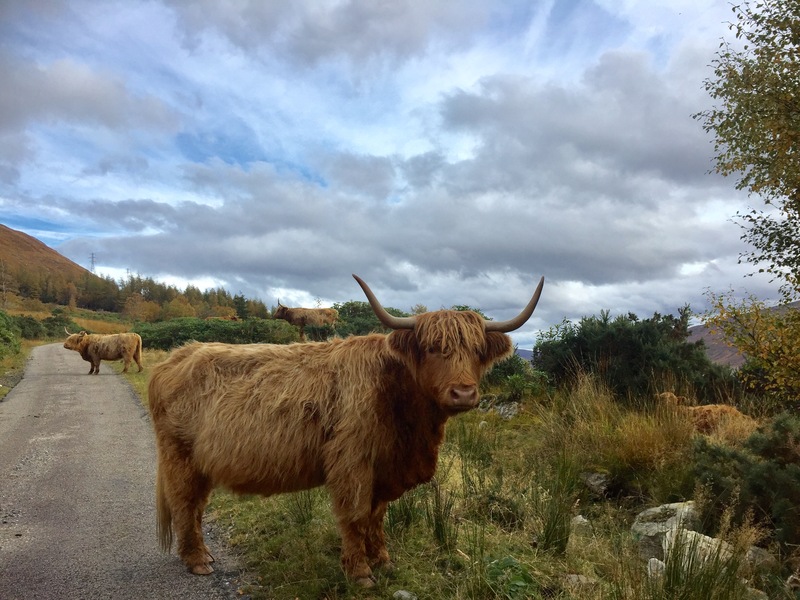 Like a scene from a movie, I left the main road and the small road became progressively narrower giving way to a single track path where the only traffic I was giving way to was small herds of deer and highland cows. 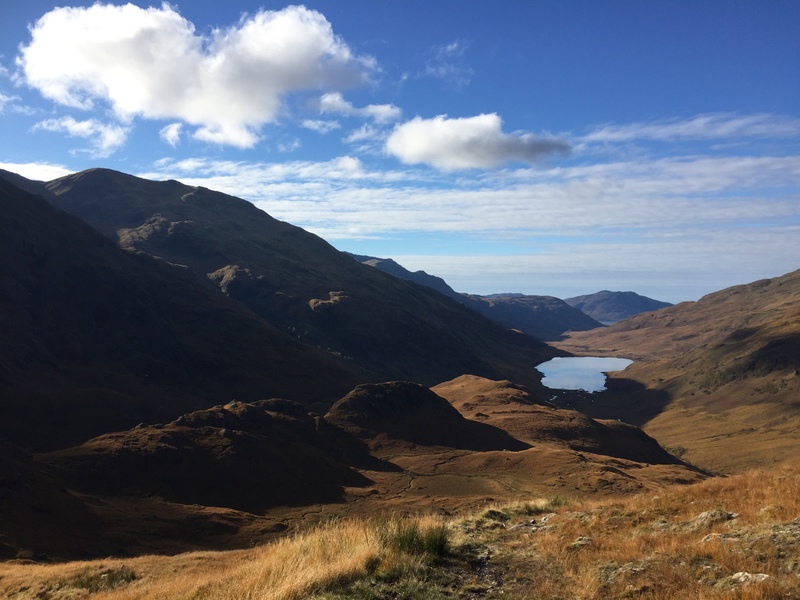 Weaving around tight bends each corner gave way to stunning views after the last, past small lochs & rocky outcrops before the road abruptly reached its end and the expansive Loch Hourn began. Keeping the Loch to my right the 15 mile route from Loch Hourn to Inverie via Barrisdale was well trodden and with a startling Autumn day welcoming me, I had no need for my map and compass apart from giving me comfort that I was heading in the right direction. Running was impossible as I was constantly stopping to take photos and soak up the stunning views that went from amazing to perfect. My mouth was agape at how beautiful it was, this is when I missed my partner in crime, Dion, and I spoke out loud to the vast silence around me, telling the world how beautiful she is. I had to vocalise it, it was so beautiful! At Barrisdale the path veers to the left and takes you past the bothy and campsite and over Mam Barrisdale with a tough climb up to 800m where I was greeted by a herd of deer who were very curious about me. What a welcome to the summit. A lovely descent down past Loch an Dubh-Lochain and I could start to see the water of Mallaig winking in the bright sunlight, signalling my end destination. To this point I hadn’t seen a soul, total isolation, but strangely it felt very safe and comfortable as if this is how it’s supposed to be. Cute little wooden signs direct you to the few locations in Inverie of note; The Bunkhouse, snackvan, ferry and Pub. 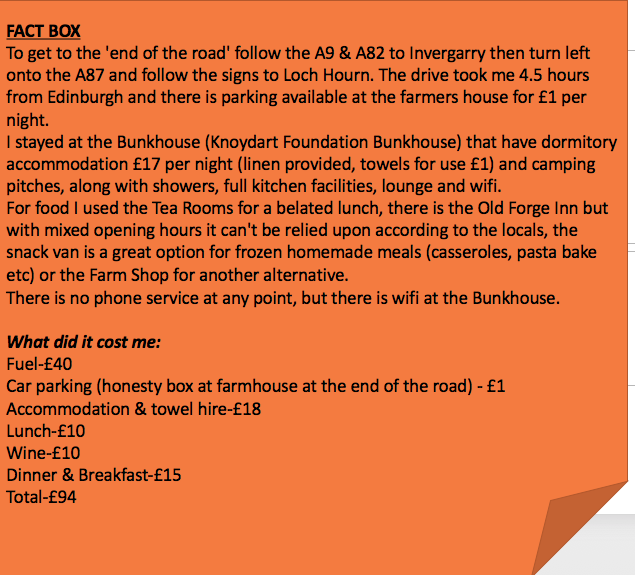 I was starving at this point having only had a couple of snacks since 4am and it was now 2pm but decided to head to The Bunkhouse first to make sure I had a bed for the night before the 15 minute walk into the village centre to find some food. I ventured into The Tea Rooms where a tasty & warm jacket potato and haggis filled my empty belly, washed down with a tasty hot chocolate and a homemade chocolate brownie left me feeling full and now rather sleepy as I sat in the heated tea room with the sun coming in through the window. Grabbing a bottle of red wine from the local shop I headed off in search of dinner and to get some feet up time. 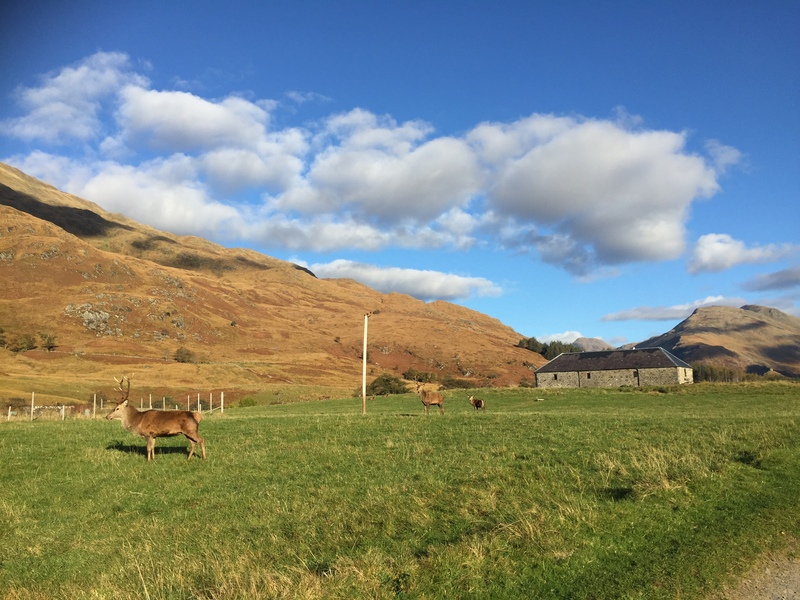 Making my way through the most impressive herd of stags at Kilchoan Estate I entered another world; a farm shop filled with locally produced goodies left out to help yourself with simply a notepad to keep a list of what you purchase beside a quaint honesty box. I couldn’t resist the ultimate indulgence of a small wheel of Arran whisky flavoured cheddar, a box of oatcakes and a jar of homemade chutney, along with a 6 pack of eggs from the chickens I could see on the farm already thinking of my breakfast. A roaring wood fire in the communal lounge at the Bunkhouse snuggled into a comfy sofa with wine and cheese meant I didn’t venture out to watch the sunset, however I’m sure it was spectacular. Sleep came easily after a big day out in the sun on my feet and the Bunkhouse was tranquil giving way to a comfortable & deep sleep. Filling my belly with 6 eggs scrambled, I was back on the path again retracing my steps from yesterday back to Loch Hourn. Again I didn’t see a soul along the way and tempted by the crystal clear water I decided to go into full adventure mode and had my first experience of wild swimming in Scotland at Barisdale. Braving the chilly water with nothing on except my cloak of courage I splashed away in the water. It felt so empowering and exhilarating I couldn’t wipe the grin off my face for days. It was so good and after seeing otters swimming by me on the trek back along the Loch, I jumped in again just before the farmers house, I was hooked! Perfect timing as I had only just got my clothes back on when I saw hikers coming around the corner! Having a secret giggle to myself as I passed them I quickly got in the car to get the heaters going to warm me up as this time I’d gone all the way under so had dripping, cold hair to deal with. My drive back felt like a new adventure through the Caingorms as now I was seeing this in daylight rather than in the pitch dark. Amazed at the stunning nature wonderland around me I could feel my mind ticking over already, wondering what adventure could I hatch to come back up here again soon. 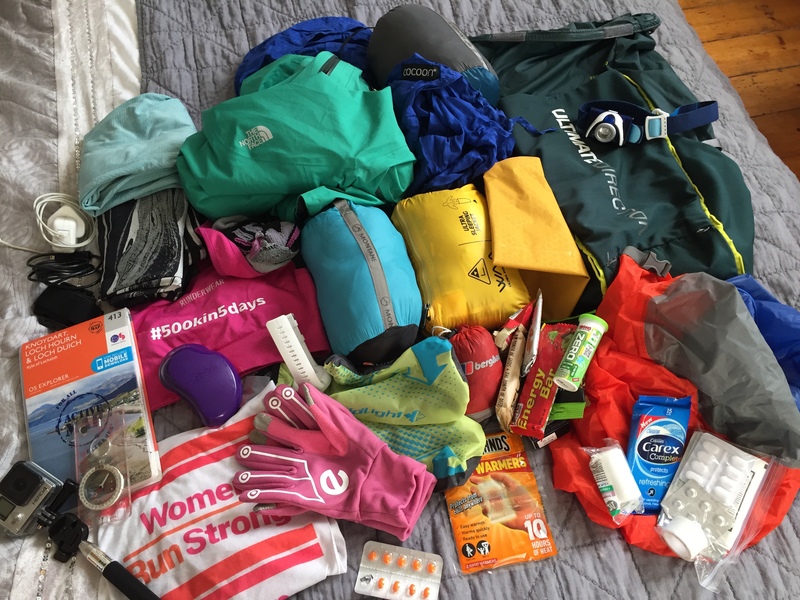 I often get asked “What’s in your bag?” from other runners, so I thought I would share what I have in my bag on a daily basis for my runs, this is what works for me and you should always adapt this to your own conditions and requirements as this is by no means the written law of what you should carry. If you didn’t know, November is Runner Safety Month. I was inspired to share the equipment I use because safety and peace of mind are key. To help everyone run smarter the Fall, SimpliSafe, a security company that designed a wireless alert system for active individuals is encouraging runners to keep a clear mind and remain alert to any potential dangers on their run and at home. It’s not always easy to get outside and train, but every little thing helps. So tell me, what’s in your bag? The mystical shifting sands of the Sahara beckoned and lured me back for a 2nd time to compete in ‘The Toughest Footrace on Earth’ Marathon Des Sables (MdS). 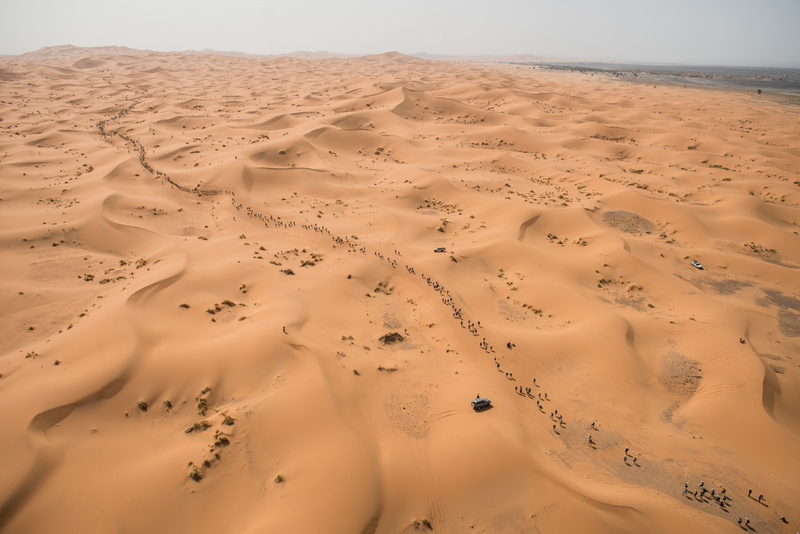 A 257km, the longest MdS distance in the 31 year history of the race, gruelling multi-stage, self sufficient race in one of the most inhospitable climates on earth – the Sahara desert. Crossing salt flats, climbing jebels, and running through the never ending sand dunes of Erg Chebbi in baking temperatures of up to 50 degrees under the scorching Moroccan sun and contending with billowing sand storms as if it wasn’t hard enough. But why come back for a 2nd time you ask? I had some ghosts to put to bed as I explain in more detail in my previous post. 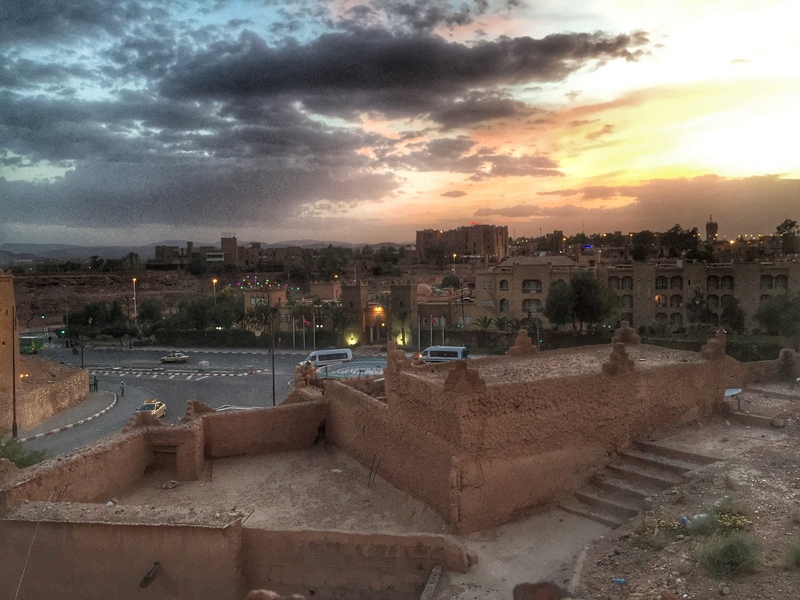 After a typical Scottish winter it felt good to be back in Morocco; under a canopy of startling blue skies and wispy clouds the stark surroundings have started to feel strangely like home after quite a number of visits to this beautiful country for various types of holidays and adventures. I for one couldn’t wait to join the other 1,250 runners from all different walks of life for one single purpose, to finish this challenge. 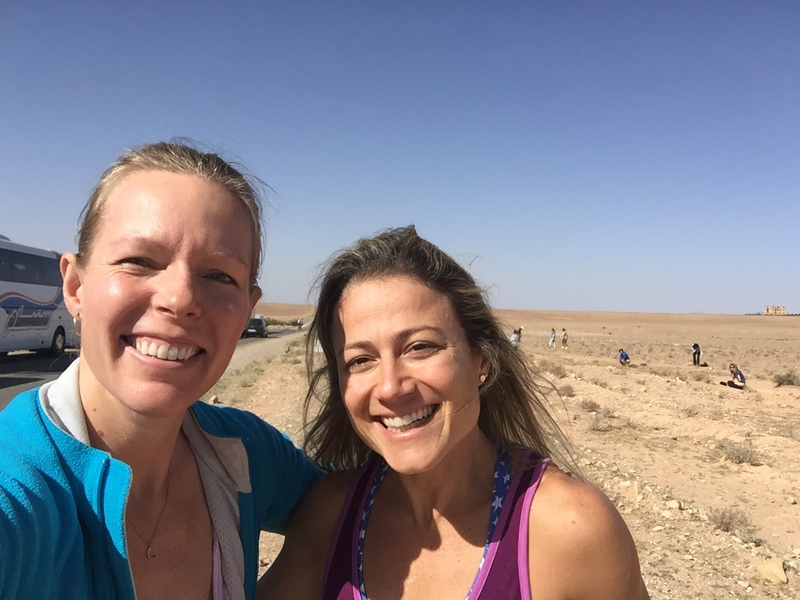 Leaving civilisation behind in Ouarzazate, the 6 hour bus ride out to the first bivouac (camp) site feels long even though en route I met my running idol, Fernanda Maciel. Once we get there and settle into our tent that will house 7 of us (3 previous finishers among us), tent number 156, we know we still have a full day of administrative checks the following day to endure before we get anywhere near racing. The 2 nights spent in the camp before the actual race start is a gentle tease as you slowly get further away from creature comforts, for the first night you still have all your belongings including phones and toiletries (important in exactly that order) and delicious meals are provided by the race organisation. But then it starts to strip away, the day before the race you hand your luggage in and the race registration takes place of checking your kit and ECG/medical before handing you your race numbers and bag of salt tablets before it all suddenly starts to feel very real. Every day the bivouac comes alive well before the sunrises with competitors unable to sleep they start stirring and faffing about in their bags, with many wasting precious energy being up so early and being ready well before time. 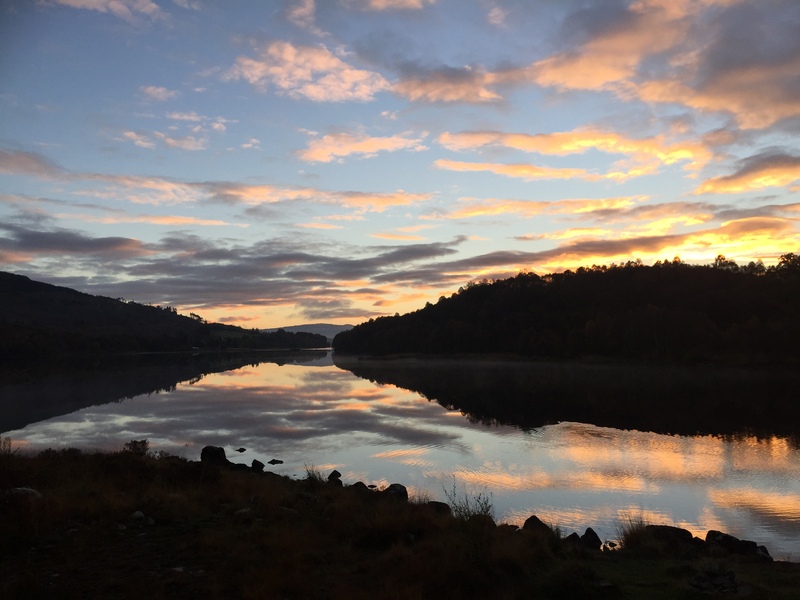 I remained cocooned in my sleeping bag until at least 7am before peering out and starting the morning rituals of changing into my progressively filthy kit and preparing my body to face the day ahead. Being the only girl in the tent I was nicknamed ‘Queen of the Desert’. You can’t help but be swept up in the grand scale of this race, the ultimate show. Patrick Bauer (race director) addresses the runners at the start before blasting out AC/DC’s ‘Highway to Hell’ and we are off with a helicopter swooping low over us all to film us all smiling and waving our way along our own personal highways to hell. That song will always give me goose bumps whenever I hear it and with it comes memories flooding back of MdS. It is without doubt the blue riband event of multi stages, nothing else compares. 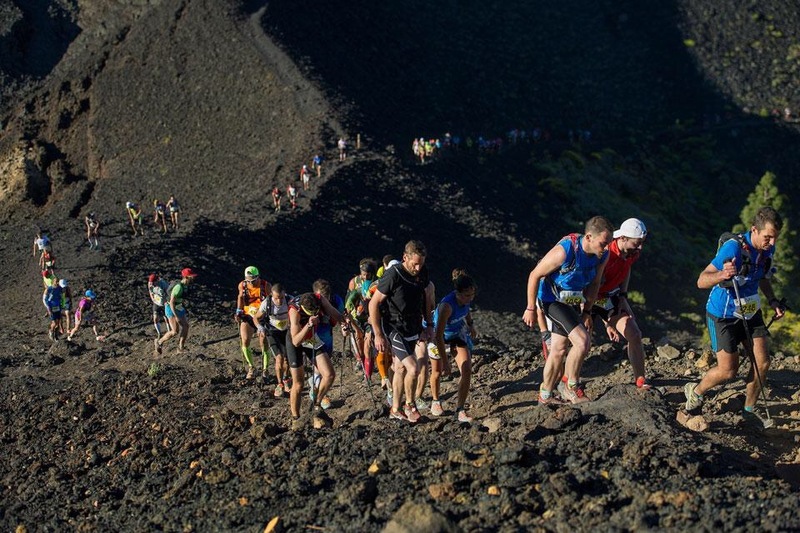 MdS should not be under estimated, it is a humbling experience where the race kicks the stuffing out of you and redefines you whatever your experience and expectations. 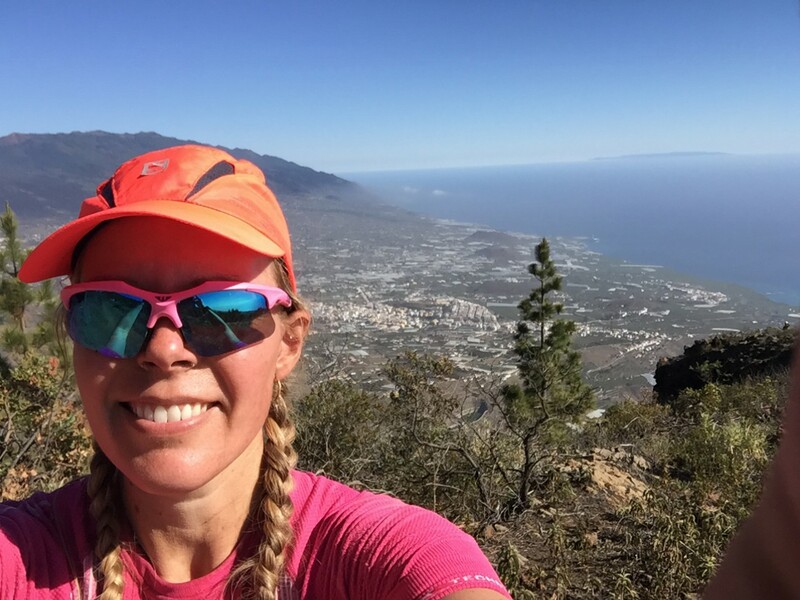 I had previously placed 377th overall (27th female) in 2014 and initially had my goal set at a top 200 finish and aiming for a top 10 female finish; that was until I saw the strongest ever female field registered for 2016. 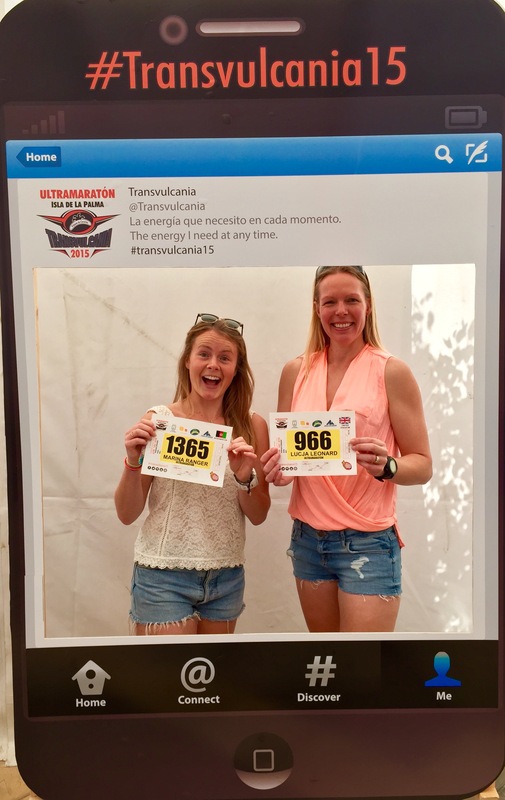 Never has there been so many females finishing in the top 200 of MdS, with 2 females in the top 20 alone, and a whopping 21 females in the top 200 (13 in top 200 in 2015 & 2014). Wow! Proud to be part of the ever strengthening women’s field, go girls! I was delighted to finish in 147th overall as 13th female with the finishing times so close together it was a massive improvement on my first performance. I loved the sand dunes this year! They were as huge and as beautiful as I remember and there was still no end in sight but I ran them, in 2014 they near killed me and here in 2016 I ran them and came in 93rd place for day 1! As my husband Dion (http://www.findinggobi.com) so eloquently put it in an email to me ‘Day 1 result, 93rd, Did I read that right…Holy Fuckballs!’ That result added pressure and I felt that the next few days where I slowly slipped back some positions but I will hold that result close to my heart forever, so proud! 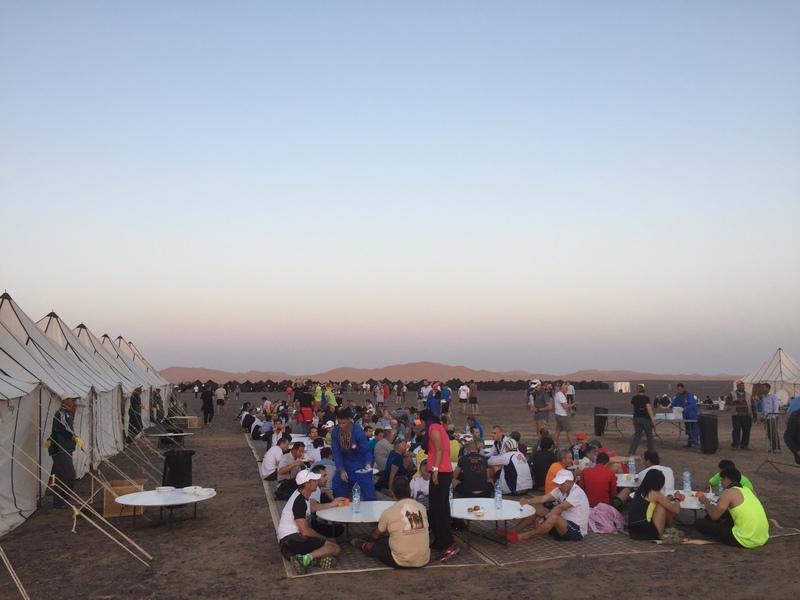 MdS threw everything at us; dune after dune, endless salt flats and jebels (mountains) to climb that needed ropes to pull you up the last section mixed with heat that cooked you from the inside and sand storms that exfoliated your skin to inch of its life! 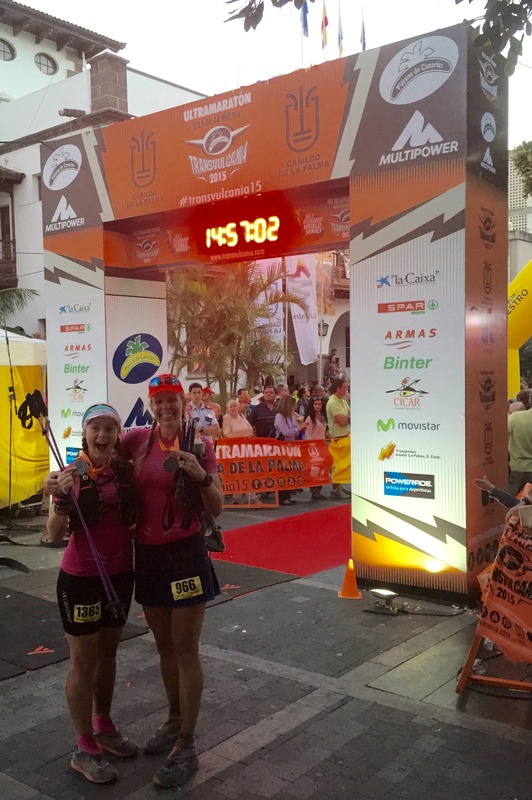 My body started to revolt from day 2 with nausea and legs like lead and I joined forces with gal pal Marina Ranger to find strength in companionship and we pushed each other through the good times and the dark times, finishing the rest of the race side by side. 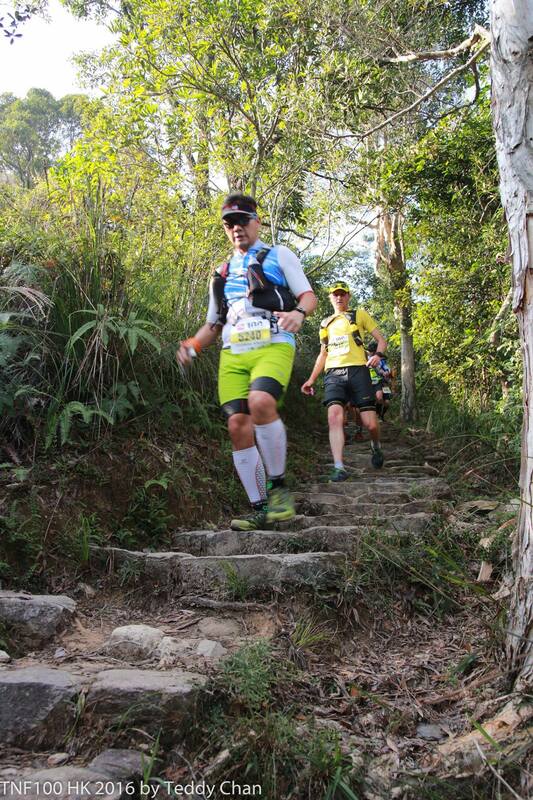 I faced my own demons on the long stage with bouts of diarrhoea leading to heat exhaustion by the halfway point on this day but we soldiered on together with a lengthy conversation for the last 30km about why and what makes us do these things to our bodies. We couldn’t answer that question at the time, maybe it was the fact that we were almost delirious from tiredness and the heat or that the answer lies in the journey. We are all changed from the experience in some way or another and we dare dream even more to find that next escape and the freedom that comes from the adventure and challenge of pushing your body and mind to its limit. Preparing for this race takes months of meticulous planning and training. It is not enough to just be able to run this race takes more, much more! You need strength, fitness, mental tenacity and the ability to deal with a week in the most primitive of conditions where cleanliness and hygiene are non-apparent and you become the filthiest you have ever been in your life. It’s harder than you can imagine lying there in an open tent being blasted by sandstorms filling every orifice of your body trying to recover from being out in brutally tough conditions for anything from 5-15 hours, needing to eat and sleep to be ready for the next day. This is what starts to break people down bit by bit and what makes this race so totally unique and iconic. 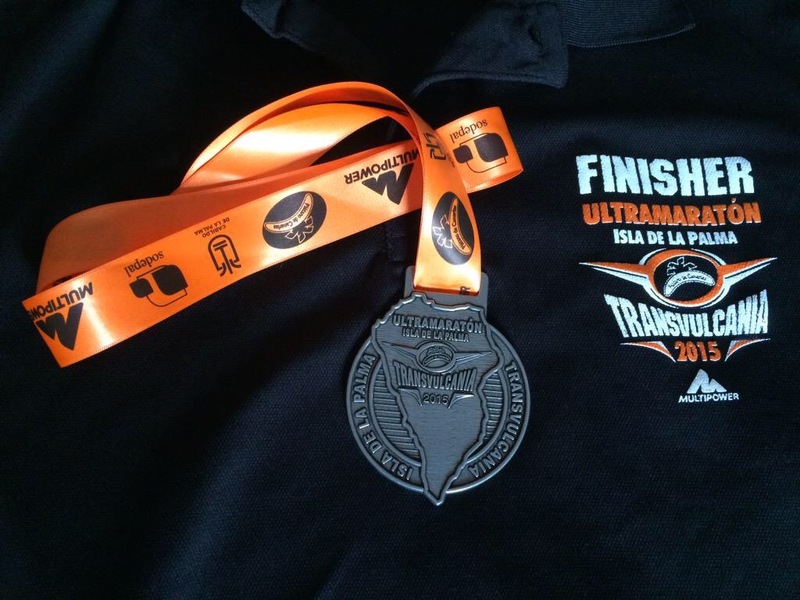 With 3 MdS finisher medals to our household that previous experience helped me build a plan specific for MdS. I ensured that I trained the hardest and the smartest I ever had, incorporating hills, speed, long runs, strength & conditioning and flexibility combined with fuelling my body with the best food to build it even stronger and healthier than ever before finishing off with some heat chamber sessions of up to 44 degrees to prepare my body for the sizzling temperatures it would face. I kept focussed and trained my mind to keep that competitive & stubborn mindset (my husband is legendary at this!) to be able to push through the guaranteed pain & discomfort that would be faced throughout the race and I spent hours poring over my kit & food spreadsheet ensuring I had the best kit available and the best fuel for my body, at the lightest weights possible but without scrimping. As a proud X-Bionic athlete I wouldn’t dream of wearing anything else into the desert, it has seen me through every desert multi stage I have done with no issues of chafing, riding up and even in those extreme temperatures the kit doesn’t smell, it’s amazing stuff and I couldn’t recommend their kit highly enough for anyone coming to MdS or any other desert race, trust me it works! I wore a Runderwear crop top which aside from being very comfortable meant that I didn’t have to tape up to avoid chafing as there was no chafe! At all! Aside from your clothing shoes are imperative to this race with so many people suffering from horrible blister issues this is something you need to avoid, I came away with all 10 toenails intact, still perfectly pedicured, having experienced only one small blister on the side of my foot over the whole week. How? I wear New Balance Leadville shoes, initially they were half a size up to what I would normally wear but I now wear this as my normal size (don’t go too big a size up or your foot will slide around & cause friction), coupled with Injinji toe socks (I only had 1 pair for the whole week, who needs fresh socks?) and then a set of AR gaiters over the top. You can’t do this race without gaiters and keeping the sand out is so important so I get my Velcro stitched on by a professional, Dave at Sandbaggers offer a gaiter fitting service, they are stitched onto your shoe in such a way that it doesn’t affect the shape of the shoe & they will not come loose, I saw a lot of people with issues caused by unprofessional gaiter fitting processes. Sleep is such an important element of this race that this time around I sacrificed 200g to have both a pillow and a sleeping mat (trimmed down) to give myself the best chance of sleep. I used the Ultimate Direction Fastpack 20 which felt very comfortable all week and managed to have my starting bag weight at 6.8kg (dry). Food choices are individual but one thing that is the same for everyone is that whatever you take, you will get sick of eating it at some point so variety is the key. I find that I prefer savoury items for both breakfast and for my snacks and dinner once I am in from the day, and grazing throughout the afternoon is better for me than a bigger meal, but I stick to gels and energy style drinks such as Torq energy and Hammer Perpetuem to supplement those when I can’t stomach the gels anymore. I wouldn’t be without my For Goodness Shakes recovery powder either at the end of each day. 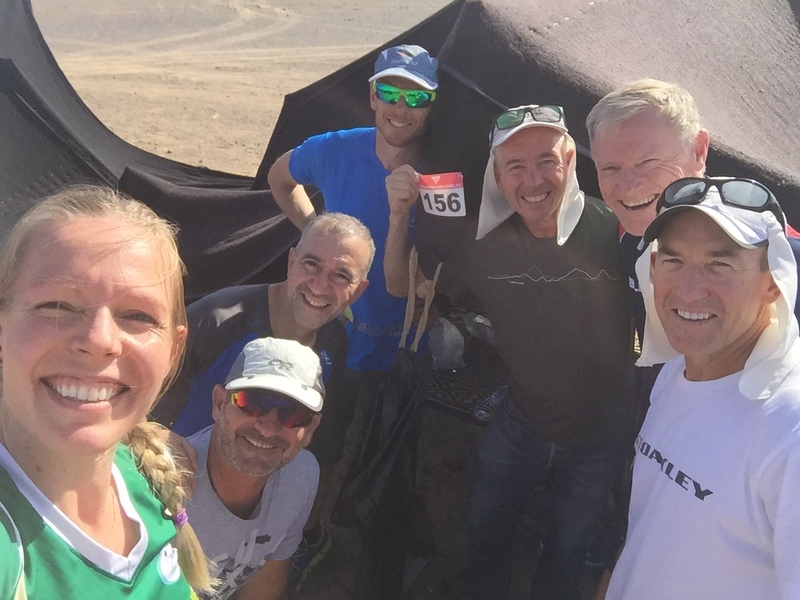 In the heat of the Sahara it is difficult to eat anything and I can’t get any sort of whole food such as bars down whilst I am out on the course. My favourite tips from this year’s MdS would be to take some Oxo stock cubes to add to your water in the afternoon for a tasty salty treat (heats up nicely in the sun) and tea bags for ‘iced’ tea (not quite iced but tasted surprisingly good in tepid water) as you get so sick of drinking tepid water all day, so anything that will help you hydrate is good. I promised myself out in the Sahara that this is the last time and have told both Dion and Marina that they must not allow me to sign up again, and I won’t……I don’t think. 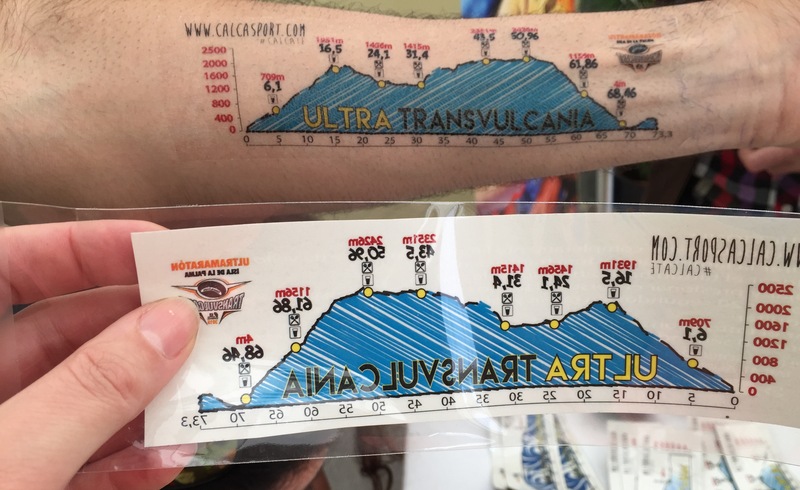 It’s funny but you very quickly forget how much it hurts, how much it takes to do the MdS as soon as you step away and the afterglow of the event takes hold. I love this quote from Jason Schlarb, it really sums up MdS!